Having the opportunity to sample a large variety of locally made wine, especially after learning firsthand how each was produced from start to finish, is an experience I won’t soon forget. 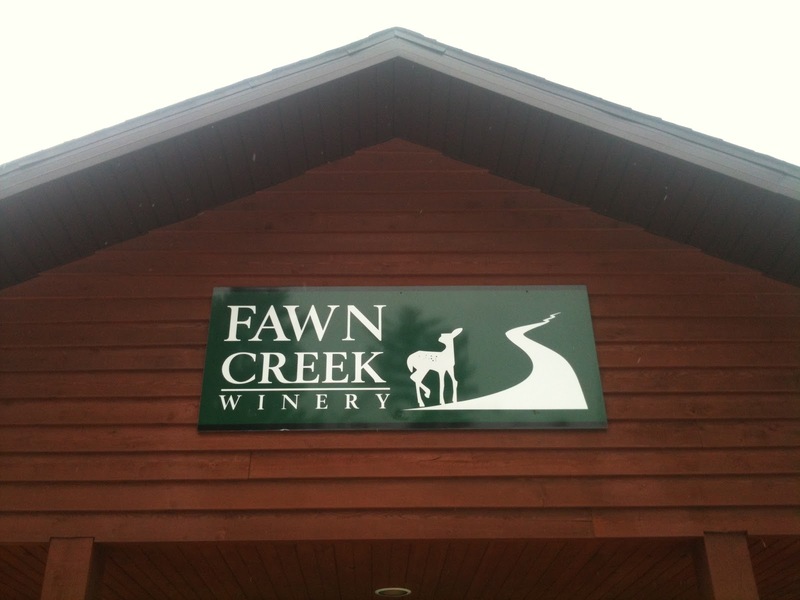 Recently, I had the chance to go behind-the-scenes of Fawn Creek Winery, located in a maple, oak and pine grove about ten miles north of downtown Wisconsin Dells. There, I was explained the wine making process by their experts, as well as had the chance to enjoy many of the thirteen different wines that they produce. In January of 2011, siblings Dan Hanson, Pam Genrich, Sally Haberkorn, and Susan Hanson, along with their spouses Diane Hanson, Jim Genrich, and Dan Haberkorn, assumed the former Tourdot Winery, and have grown the business tremendously ever since. While admitting that there were some growing pains from developing so fast in the beginning, things are now running smoothly, and they hear nothing but positive remarks. “We had a five year plan, and we’re already at the fifth year – only two years in.” said Dan Hanson, while giving me a tour of the facility that was built by his father Sheldon Hanson and brother-in-law/part-owner Dan Haberkorn. Seeing the various tools of the trade, I learned that all Fawn Creek wine is made by hand, using world renowned grapes that come crushed and de-stemmed from Lodi, California. In addition to this, last year they planted a three acre vineyard on the property, which they’ll use to create their own estate wines in a couple years when the vines produce grapes. 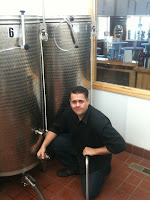 Hanson told me that they use the Australian Method to produce the wine. 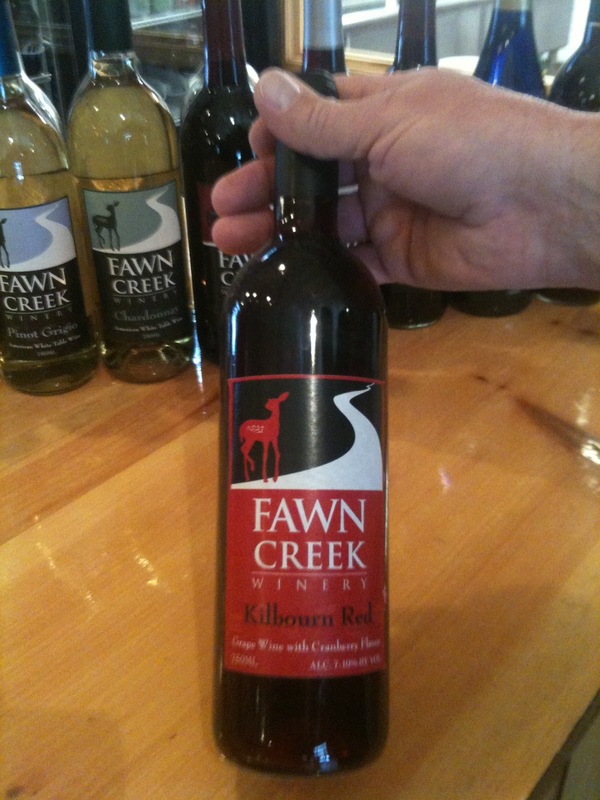 This means it’s created in stainless steel tanks, rather than the “old school” way which is done in barrels. 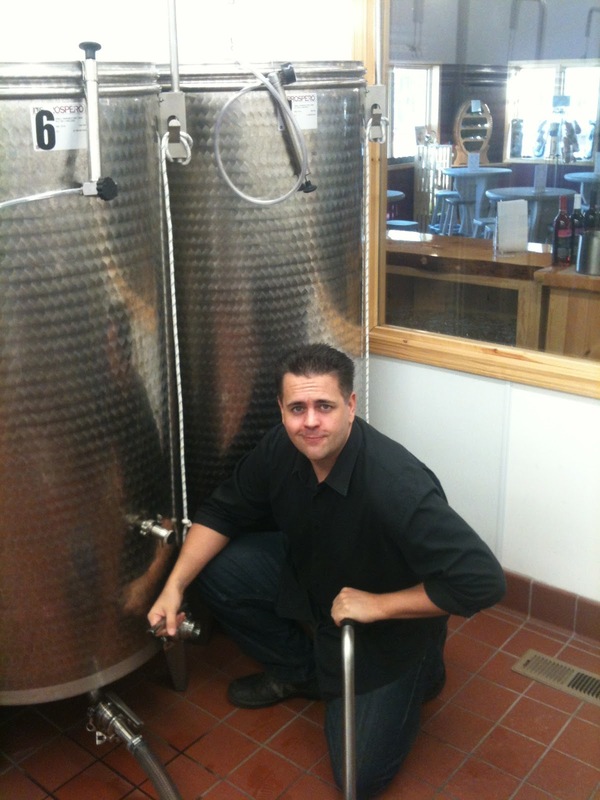 The reason behind this is that stainless steel tanks allow much more versatility, as they can be cleaned out and used to create many different types of wine. Oak barrels on the other hand, besides being quite expensive, must strictly be used to only produce the same type of wine each and every time. 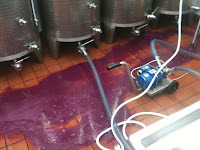 Genrich walked me through the complicated wine making process, explaining to me the very specific, time sensitive steps that are needed to turn grape juice into wine. I learned about primary fermentation, the need to then “rack” the wine to remove sediments, then a secondary fermentation, followed by the clearing and filtering of the wine. All of this is done before it can go on to be bottled. Once the wine is ready, it is then gravity fed to the basement, where Hanson explained that it’s currently a nine person operation to get the wine ready to be shipped and sold. There’s one person to wash the bottles, another to move them into what is called a six bottle “hopper,” where the bottles are filled. Then they are moved to the corker, a devise that is worked by hand to insert corks one at a time into each bottle. Once the bottles are corked, another person covers the bottle necks with foil, which is then taken by another to shrink the foil in place with a thermal sealer. 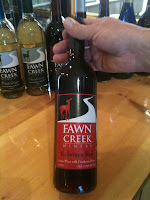 Another person wipes them all down, and yet another person uses a hand rolling machine to put the Fawn Creek labels on. 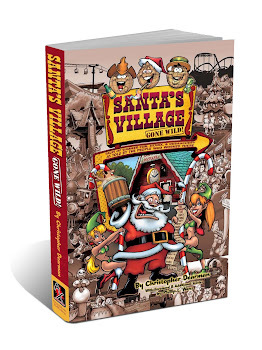 Also on tap for this year are a handful of special events. Their two year anniversary celebration is April 13th, the return of their season Summer Sun wine with an after-hours party is April 27th, a BBQ/Blues Fest is on June 29th, a Hawaiian luau pig roast is August 10th, and their 3rd annual Fall Fest blowout party is set for October 5th.